The Theatre program at the University of Illinois Springfield is excited to announce its lineup for 2012-13. The season features a modern adaptation of a classic French comedy and a classic American drama set in the 1930s Bronx. In the fall, a contemporary translation of the 17th century French comedy Tartuffe by Molière will be performed Oct. 26-28 and Nov. 1-3, 2012 in the Studio Theatre. The play, subtitled, “The Hypocrite,” focuses on a religious fraud, Tartuffe, who slyly dupes a wealthy merchant, Orgon, into signing over his estate, and even his daughter, to Tartuffe. Orgon’s family readily recognizes Tartuffe’s unscrupulous behavior, and Orgon’s refusal to acknowledge Tartuffe’s fraud creates much of the comedy. UIS Assistant Professor of Theatre Missy Thibodeaux-Thompson will direct Tartuffe. 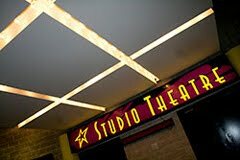 Open auditions/crew interviews will be held Sept. 4-5, 2012 in The Studio Theatre. Callbacks will take place on Sept. 6. Auditions and crew positions are open to students, faculty, staff, and community members. Check www.uis.edu/theatre for updated times and information. In the spring, UIS Theatre will present the play Awake and Sing by Clifford Odets during April 5-7 and April 11-13, 2013 in the Studio Theatre. Originally produced by the revolutionary theatre company known as the "Group Theatre" in 1935, Awake and Sing startled audiences with a story that hit close to home--ordinary Americans struggling to survive and even hold on to their dreams in depression-era New York. This story of a struggling American family involves young Ralph Berger trying to find his own way in the world, while his sister, Hennie, strives to decide who she is: a pretty catch for some man or a leader who will chart her own course toward happiness. These yearnings cannot be denied, but Ralph and Hennie's parents--Myron and especially Bessie--have other ideas about what it means to live in the hardest of times. Today, this play delivers new resonance to audiences who find themselves in an economy seemingly unable to fully recover. The original Broadway production featured Stella Adler and Sanford Meisner--two young two young actors who would go on to become two of the most influential master teachers of acting during the twentieth century. UIS Associate Professor and Director of Theatre Eric Thibodeaux-Thompson will direct Awake and Sing. Open auditions/crew interviews will be held Jan. 22 and 23, 2013 in The Studio Theatre. Callbacks will take place on Jan. 24. Auditions and crew positions are open to students, faculty, staff, and community members. More information will be posted on www.uis.edu/theatre. For more information on the upcoming theatre season contact Eric Thibodeaux-Thompson at 217/206-6613 or email ethib1@uis.edu. WHAT: The University of Illinois Springfield Engaged Citizenship Common Experience (ECCE) Speakers Series presents “Sanctifying Myths: The currency of class, gender, and courage in J.R.R. Tolkien’s The Lord of the Rings & Peter Jackson’s films”. The presentation and discussion will be led by Donna Bussell, Ph.D., assistant professor of English at UIS. WHEN: Tuesday, July 17, 2012 at 6 p.m. DETAILS: In this talk, Bussell discusses J.R.R. Tolkien’s The Lord of the Rings as a cultural export. Tolkien’s epic has become an iconic work of fantasy not only for audiences in the U.S. and U.K., but worldwide. Peter Jackson’s recent films have further popularized The Lord of the Rings and re-interpreted his work for modern audiences around the globe. This presentation highlights Tolkien’s understanding of the spiritual and cultural work of mythology and manifestations of courage in major characters such as Frodo, Sam, Arwen and Aragon. It also explores the importance of minor characters whose roles (and lower status) reveal much about the nature of courage in relation to class and gender in this story. Bussell concludes with a few thoughts on how these ideas are (or are not) treated in Jackson’s films, and the implications of these revisions for the transmission of Tolkien’s ideals. Bussell teaches Arthurian Literature, Chaucer, History of the English Language, and other courses in medieval literature and related topics such as medieval war-craft. 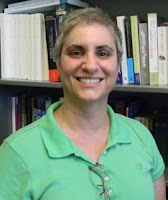 Her research and teaching interests include saints’ lives and literary culture, representations of male and female warriors in the middle ages, and the role of women in medieval romance, poetry, and drama. For a list of other ECCE Speakers Series events and more information, visit http://illinois.edu/goto/speakerseries. All events are free and open to the public. This is the final Speakers Series event for summer 2012. WHAT: The Illinois Innocence Project, based at the University of Illinois Springfield, and three mothers wrongfully accused of child abuse will call on Gov. Pat Quinn to grant clemency to former DuPage County daycare provider Pamela Jacobazzi and implement a review of Illinois Department of Children and Family Services (DCFS) policies and procedures with respect to child abuse investigations. WHEN: Saturday, June 23, 2012 at 11 a.m. DETAILS: Pamela Jacobazzi was convicted in DuPage County in 1999 of first degree murder of a 10-month-old child involving a controversial medical diagnosis called shaken baby syndrome. In 2010, the appellate court ordered a new hearing in Jacobazzi’s case because pediatric records had not been presented to the jury which indicate that the child suffered from several illnesses in the weeks leading up to the child’s hospitalization with bleeding of the brain. Jacobazzi’s clemency petition was filed more than seven years ago, by her attorney Anthony Sassan. The Prisoner Review Board made a confidential recommendation to then Gov. Rod Blagojevich. Gov. Quinn inherited a backlog of clemency petitions since taking office in 2009. At the press conference wrongful accused mothers, Laura Nimke of Streator, Nichole Crister of Galesburg, and Michelle Weidner of Peoria will discuss their cases involving the misdiagnosis of shaken baby syndrome. They will call upon DCFS to adopt rules requiring a more thorough review of pediatric and medical records before making a finding of child abuse. WHAT: The University of Illinois Springfield Engaged Citizenship Common Experience (ECCE) Speakers Series presents a screening of the film Gattaca. A discussion led by Edward Beekman-Myers, an English professor at UIS and Lincoln Land Community College, science-fiction writer, and authority will follow. WHEN: Wednesday, June 27, 2012 at 6 p.m. DETAILS: This science fiction film starring Ethan Hawke, Uma Thurman, and Jude Law presents a biopunk vision of a future society driven by liberal eugenics where potential children are selected through preimplantation genetic diagnosis to ensure they possess the best hereditary traits of their parents. A genetic registry database uses biometrics to instantly identify and classify those so created as "valids" while those conceived by traditional means are derisively known as "in-valids". While genetic discrimination is forbidden by law, in practice it is easy to profile a person's genotype resulting in the valids qualifying for professional employment while the in-valids—considered more susceptible to disease, educational dysfunction and shorter lifespans—are relegated to menial jobs. Beekman-Myers is the author of The Totally Gnarly Adventures of the Galactically Bitchin' Comet Sweat!, a sci-fi/comedy novel that was published in 2009. More information is available at www.beekmanmyers.com. WHAT: The University of Illinois Springfield Engaged Citizenship Common Experience (ECCE) Speakers Series presents a screening of the film Gabriel Over the White House. A discussion led by Andy Egizi, program coordinator and academic adviser in the UIS College of Liberal Arts and Sciences and adjunct Liberal Studies instructor, will follow the film. WHEN: Monday, June 18, 2012 at 6 p.m. DETAILS: Imagine this scenario if you can. The President of the United States is involved in a serious car accident and, while recovering, receives a visit from the Archangel Gabriel. Forced to acknowledge the desperate state of the country due to his poor leadership, the President vows to set the nation right, fires the crooked cabinet members who got him elected and transforms himself into an all-powerful dictator who wages war against organized crime, all in a determined bid to restore social order in America. 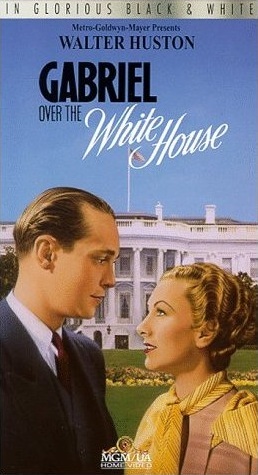 What sounds like a right-wing paranoid fantasy is actually the plot of Gabriel Over the White House, a political allegory that was one of the first films to openly address the problems resulting from the Great Depression such as unemployment, homeless people and the rising crime rate. You also won't see another Hollywood film in which our fearless leader is viewed by his constituents as either a madman or a messiah. Egizi has spent the last ten years researching and watching classic films as well as gathering an archive of more than 1,100 films from the studio era. WHAT: The University of Illinois Springfield Engaged Citizenship Common Experience (ECCE) Speakers Series presents “Robin Hood in Reverse: How Government Can Take Your Property and Give it to the Rich”. The presentation will be led by William Kline, assistant professor of Liberal Studies / Liberal and Integrative Studies at UIS, with a discussion following. WHEN: Wednesday, June 13, 2012 at 7 p.m. DETAILS: This presentation will focus on the case of Susette Kelo, who owned a house in New London, Connecticut near Pfizer Pharmaceuticals. Pfizer wanted her land for their business. The City of New London decided the property would be better used by Pfizer and took the house by eminent domain. The case went to the Supreme Court where, by a 5-4 decision, the Court decided that the government could take private property for economic development. “In most of the United States, it is now legal for a local government to take your home and give it to a private business if this transfer would result in greater tax revenues,” said Kline. In this talk, participants will learn more about the many cases of this abuse happening across the United States; learn why the concept of property rights is crucial in this fight; and learn what you can do to fight this injustice. Kline holds a Ph.D. in Philosophy from Bowling Green State University. He specializes in Economics, Business Ethics, and Applied Ethics.